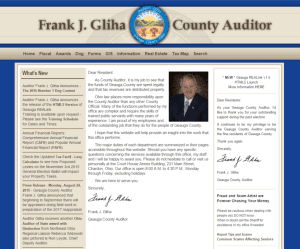 Geauga County Auditor Frank J. Gliha recently published a press release, “2017 REAL ESTATE APPRAISAL PROPERTY VISITS” and updated the Geauga County Auditor’s website to let property owners and residents know that beginning this fall, and continuing for the next 18 months, appraisers for the county will be inspecting properties to prepare for the 2017 reappraisal. What’s the 2017 Reappraisal in Geauga County All About? It’s the job of the County Auditor to make sure each of the over 51,000 separate parcels of land (Real Property), and the buildings thereon, are fairly and uniformly appraised and then assessed for tax purposes. A “reappraisal” of all Real Property is mandated by Ohio Law every six years (the next one being in 2017) with an update during the third year after the appraisal (August/September of 2020). When Will I Know What Geauga County Appraises My House For? In Geauga County the Auditor’s Office sends letters to property owners in August to let them know what the county appraised their house for. This new appraised value will be the basis of which your property taxes are calculated so it’s very important to start checking the mail in early August of 2017 to see if you agree with the county’s assessment of your property. If you believe they have made an error and that you could not possibly sell your home for the market value they have listed, then it’s in your best interest to dispute that value right away. The reappraisal process in 2017 actually provides an excellent opportunity for home owners to appeal their appraised market value if they feel they have been unfairly taxed at a higher amount than what the county has it appraised for. Even though there is a formal tax appeal process (the traditional Board of Revisions process detailed below), there are special hours and appointments made specifically during the reappraisal period, which is typically less time-consuming than the more traditional process. For example, if your house in Chardon has a market value on Geauga County’s REALink website of $299,700 but you think if you were to sell your house you would be lucky to get 210,000 for it, you may be being taxed on an inflated market value. Market value is the price your property would get at market, and if there is deferred maintenance, structural damage or other characteristics of the home that the county appraisers might not know about from a brief exterior inspection, the reappraisal gives you an opportunity to correct the market vale without having to endure the more lengthy Board of Revisions process. Once your reappraisal amount hits the mailbox in August of 2017, look at the market value, determine if you think it’s too high, then look on the letter for contact information and special hours for disputing the new reappraised value. In order to dispute the value, you will need evidence supporting the value you think it is. In the example above, if you feel your house would sell for $210,000 it’s recommended that you get your own appraisal. A certified residential appraiser, like Fast Appraisals, will look at the houses sold in the same area, similar to yours, from the valuation date (January 2017). Then the appraiser takes into consideration any deferred maintenance or other characteristics that justify adjustments to the value. After you have evidence to support a lower value than what the county appraised your property for, make an appointment (only available during the times specified by the County Auditor’s Office during these special reappraisal times) and dispute the value. 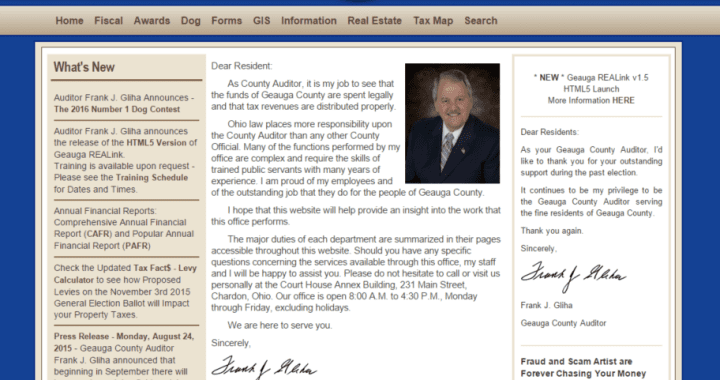 In 2011, the last reappraisal period, the Geauga County Auditor’s Office required appointments to be made by August 26th – so property owners had about 2-3 weeks to get their evidence and schedule an appointment. The office also offered extended hours twice – one Saturday morning and the other during a weekday, in order for residents to dispute the value without having to go through the traditional Board of Revisions process. It’s projected that in 2017 the office will do the same – meaning there should be some special hours in August listed on your reappraisal notice during which you will be encouraged to provide any supporting evidence to dispute the county’s new reappraised value. If you feel that your Geauga County property valuation is not accurate you can file a complaint any time, you don’t have to wait for a reappraisal or appraisal update from the county. Find more complete information on the county’s Board of Revisions page. You must file a DTE 1 form after January 1 and before March 31 which must be notarized and filed specifically by the owner, or a qualified agent of the owner. The details are covered in the “Filing a Complaint Against Valuation of Property” directions on the website. Again, you will need supporting evidence for your complaint – which could include a tax appeal appraisal from a certified appraiser. To get an appraisal from Fast Appraisals for your tax appeal process visit our website or call us at 216-932-4663. Posted in Geauga County, Ohio, Residential Property Appraisals, Tax Appeal Appraisal and tagged disputing tax valuation, Geauga County, home appraisal, market value, property appraiser, residential property appraisal, tax appeal.